Join us as Facilitator, Kathy Colaiacovo, leads you through a morning of intensive thinking and working to get you unstuck and transforming your business. The investment for this all-important business Mastermind session will be $125.00 which will include a lunch and a short break. 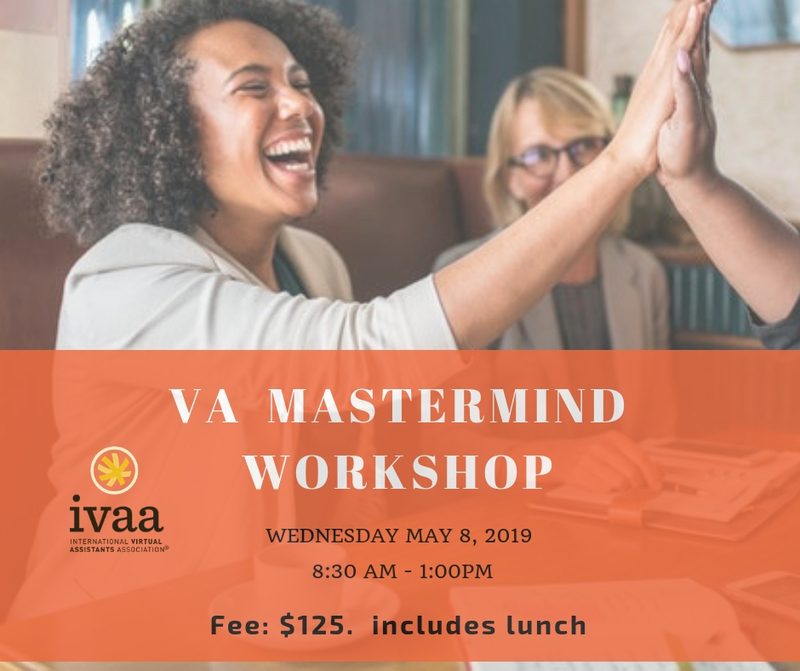 The lunch will be with the folks attending the New VA workshop and a chance for you to impart some of your own wisdom with them.